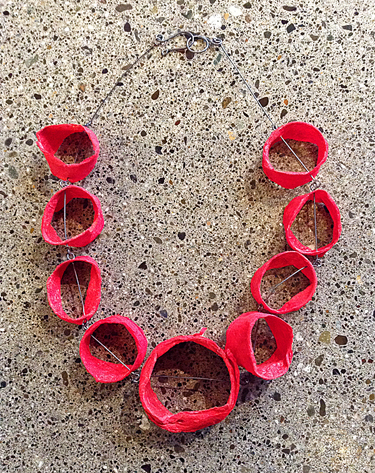 Nancy Raasch is passionate about paper and influenced by nature, re-purposing and upcycling. 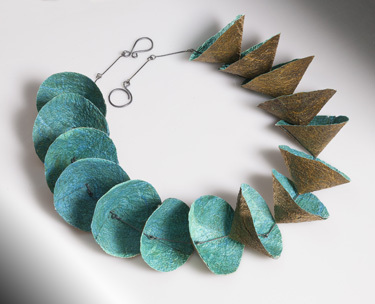 She designs and crafts her jewelry using artist hand-felted mulberry paper (Joomchi), hand-made papers, unremarkable scraps of corrugated cardboard, green packing material, papier mache, bits of wire, and renders them into unexpected creative wear. Each piece is unique and is the clash of the mundane and the precious. 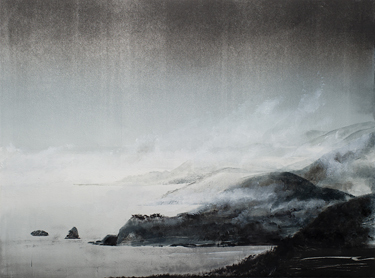 Nancy hails from the west coast and graduated from the University of California at Davis. Her graphic design career began as a book designer in Palo Alto, California. A move to North Carolina led her to use her creative talent designing and managing print advertising campaigns for national clients. She created award winning Addy, PICA and Maxi campaigns for myriad clients. 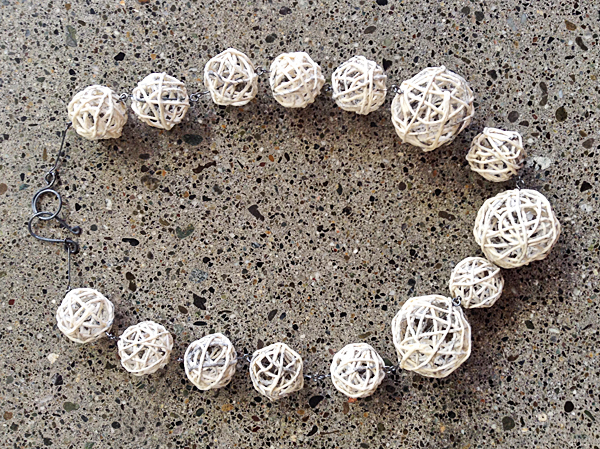 Nancy re-invented herself as a jewelry designer in 2010, due to a stem cell transplant and a year-long recovery. Her interest in papers of all kinds as a jewelry medium fascinates her and is the basis of her jewelry collection. 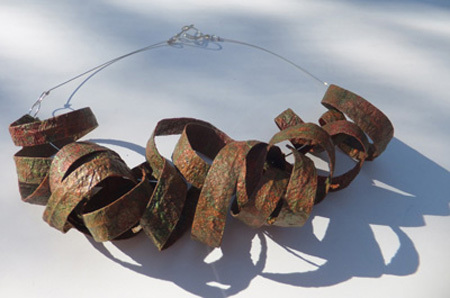 She is a member of the Carolina Designer Craftsmen Guild, Orange County Artist Guild, American Craft Council and SNAG. 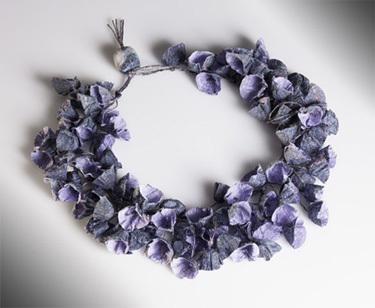 Paper Jewelry Care: Joomchi is a traditional Korean craft, a paper hand-felting process in which separate pieces of mulberry paper are joined with only water and agitation. This felted paper is fashioned into wearable art, made to be colorfast and treated to be water resistant. If you get them wet accidentally, pat them dry. Shine the silver with a silver jewelry cloth to keep it sparkling. Please store in a dry place and a protective box when traveling. 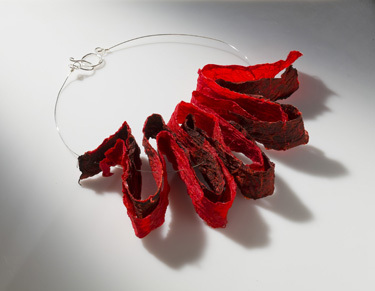 Joomchi technique paper necklace, with sterling silver. 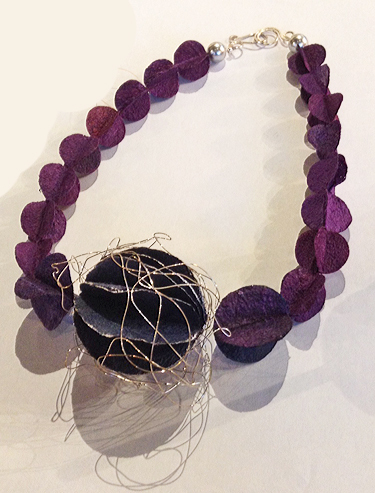 Artist hand-felted mulberry paper circles with oxidized sterling silver findings. Available for IMMEDIATE SHIPPING. Paper, sterling silver. 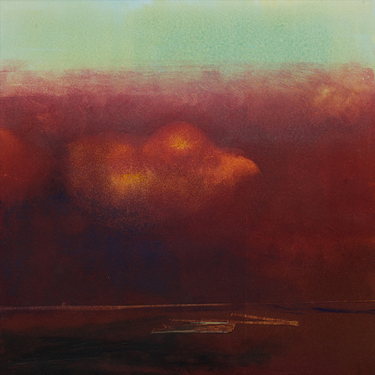 Please contact the Gallery for further information. 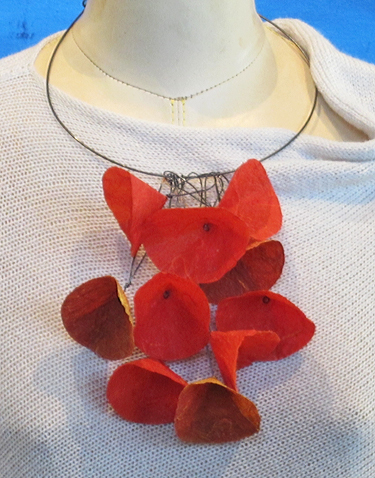 Beautiful, festive necklace crafted of special papers. Please contact the Gallery for further information.